What a weekend this was in July – the Wimbledon tennis finals, the football World Cup 2018 Final and Goodwood Festival of Speed (FOS) 2018 all wrapped in a matter of days. 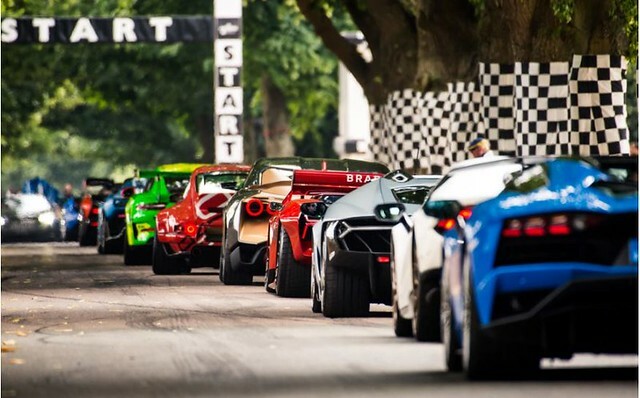 Whilst the outcomes of the tennis and football might have been one-sided affairs, the motoring action was far from it as hundreds of supercars, F1 motors and speed-merchants in general took to the Goodwood grounds in West Sussex to wow the crowds. This year at Goodwood FOS was extra special as Porsche marked its 70th anniversary at the show whilst Goodwood FOS itself celebrated its Silver Jubilee: 25 years of the festival since the very show back in 1993. Elysium Magazine was at Goodwood FOS for the sun-scorched action, feeling every rev and smelling the petrol/diesel in the air. Here’s our rundown of the five best cars to capture the publics’ attention this year. What happens when you put a 430bhp V8 engine into the chassis of a city car? 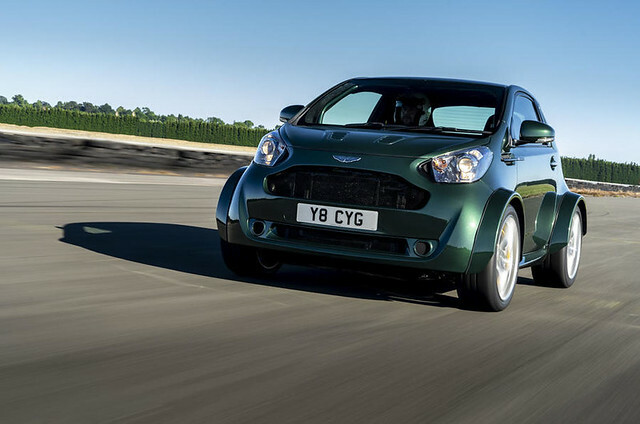 Aston Martin answer that question with the one-off production of the Cygnet. Looking like a Smart Car on steroids, the Cygnet is modelled on the chassis of the Toyata IQ – that tiny city car for the compact city. However, under the bonnet lies a 4.7-litre eight cylinder engine with enough oomph to blitz most at the traffic lights. It certainly looks like one of the best fun-to-drive cars at this years’ festival. The NextEV achieved notoriety back in 2016 when it broke the lap record for Germany’s Nurbergring track. 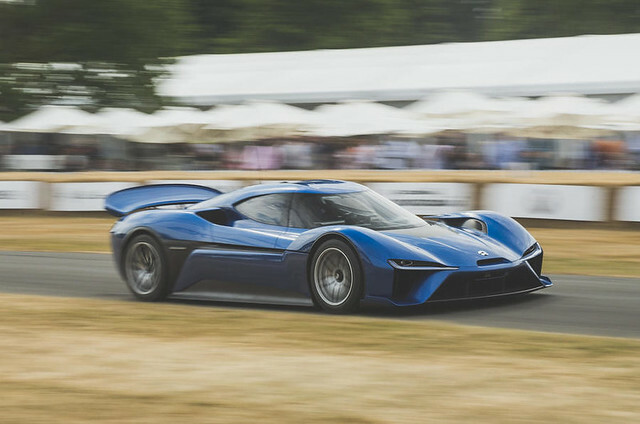 The fastest electric supercar on the planet turned heads at FOS in just the same way as the jet-like sound of the EP9 speeding past wowed the masses. With 1360bhp it’s little surprise to know the EP9 set the second-fastest lap time for Goodwood’s famed 1.16-mile hill climb course. When marking a 70th anniversary of any kind, it needs to be special. That’s why Porsches of every kind where everywhere at Goodwood this year. 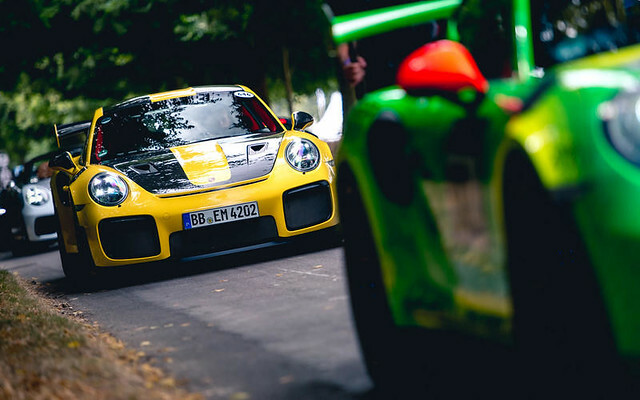 Most notable of them all was perhaps the Porsche GT3 RS – a turbocharged rocket of a road fairing Porsche. It has all the hallmarks of a crowd favourite but with extra bite. At a festival which celebrates the delights of driving, autonomous driving as a theme was fairly muted – except for the exploits of the Robocar from Roborace. 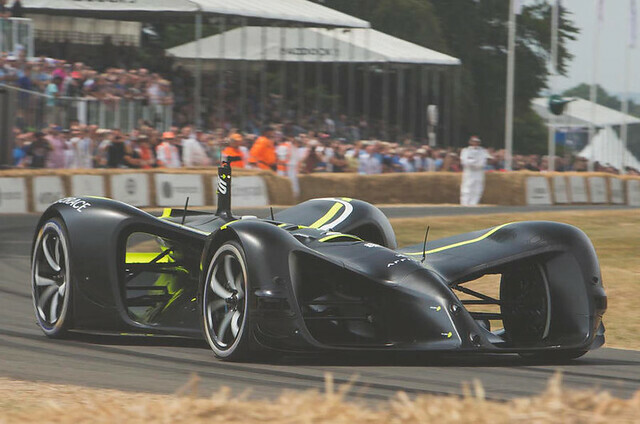 Utilising the autonomous driving technology in the form of Devbot, this year marked the first time a driverless car has navigated the Goodwood track. This could prove a landmark moment in all-electric motorsport as Formula E continues to showcase that electric-driven motorsports is as entertaining as its petrol-fuelled counterparts. Only those in the know will have clocked the W Motors logo and realised what was in front of them. 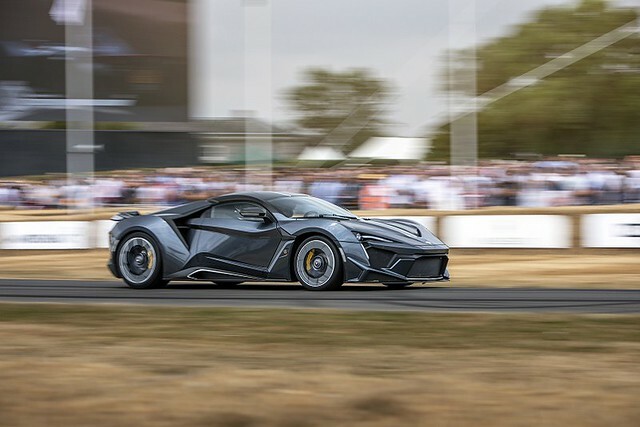 Marking its debut at FOS and also its first time on UK soil, the RUF-turbocharged flat six engine in the Fenyr growled at motor fans as the 789bhp 3.8-litre beast charged up the famed hill. Next to its big brother, the Lycan HyperSport which also featured in Fast & Furious 7 – the wolf pack is set to entertain supercar fans further as the motoring brand from Dubai grows in awareness and stature.